Okay Gals, just to let you know these blocks were a riot to make. First I made a set of white and green. 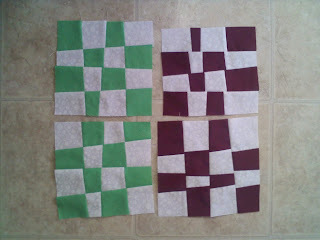 Then realized that I had washed the white but not the green fabric – Ugh, back to the drawing board. 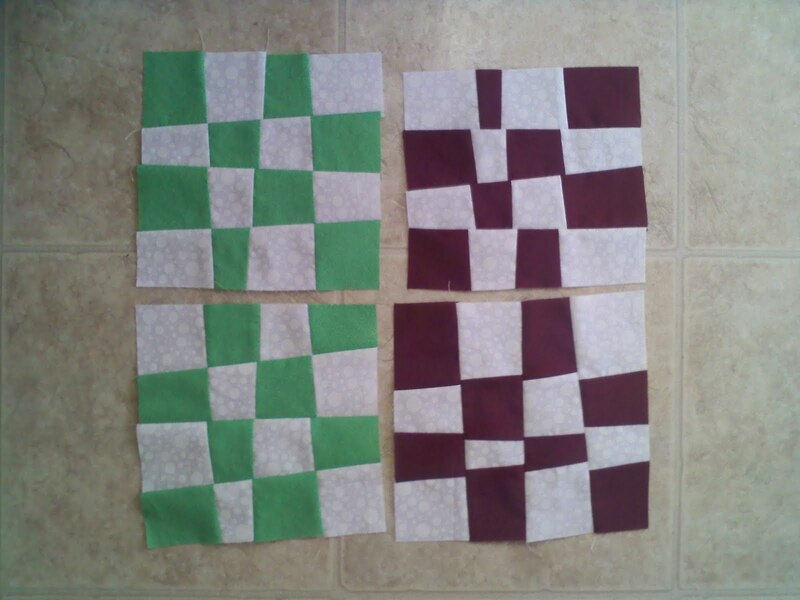 After washing and drying both green and the red, I cut and sew up the green blocks – they turned out nice. But I totally messed up the red. Sorry! My husband came over and tried to help by turning the pieces all around – I wanted to shoo him – but less face it, I’m the one that screwed them up and I didn’t think there was any way to fix them. So up for donation are the green blocks and if they are wanted the red ones too. Linda, I've added them to the list. That's not so bad. You just defined "wonkier" checkerboards 🙂 And actually, I can see which strips are in the wrong place, so it doesn't look too hard to fix if the receiver is bothered by it.